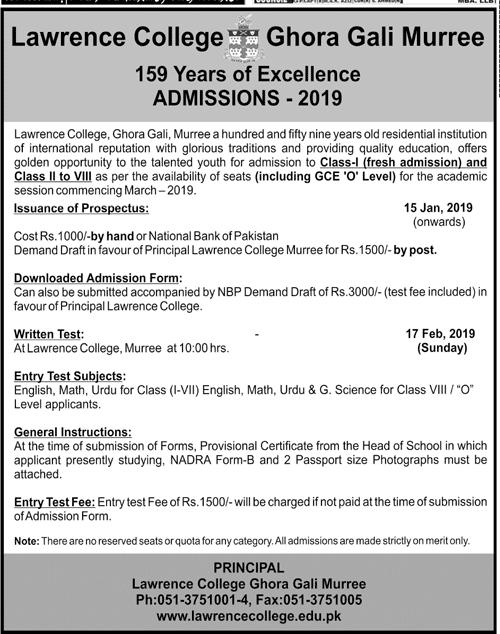 Murree, Lawrence College Ghori Gali, Murree has announced the admission process for Lawrence College class I as fresh admission and class II to VIII. The students can get the admission forms having cost of Rs.1000/- by hand or from NBP from 15-1-2019 and they can also download the admission forms from online regarding Lawrence College admission 2019 and submit the admission forms with the NBP demand draft of Rs.3000/- at their earliest. The written test of the candidates will be done on 17-2-2019 in English, Math, Urdu for class I to VII and Eng, Math, Urdu, & Gen Science for Class VIII. 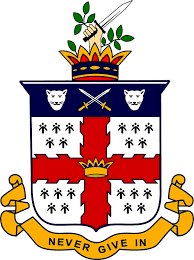 The parents of the students will read all instructions carefully to follow them when they apply for Lawrence College Murree admission 2019.